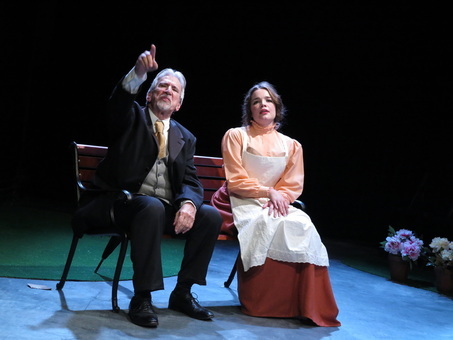 “The Storm - a window into Strindberg’s hear and soul in his last years. . . certainly explores the venerable institution and offers some penetrating insights on its peculiarities and charm"
​“Burnt House has its own haunting music and message. . . confront one’s demons or run the risk of becoming a “moth to a flame.” No weak links in this cast. . . all hold the stage and inhabit their characters with realism."